Ned Stark’s execution at the end of season one was the moment we realised Game of Thrones was unlike any other TV show. In any other story, brave, honourable Ned would have lived to fight another day. Instead, his head was lopped off in a truly devastating scene which set the moral compass of the show spinning wildly. It was then we knew this was a story where goodness could not hope to triumph in a game built on ruthlessness, cruelty and cunning. Or could it? Redditer Party-On-Marth has made a post on A Reddit of Ice and Fire , entitled Ned Stark won the Game of Thrones, and it’s a genuinely moving read. Party-On-Marth suggests how, despite being long decapitated, Ned has won the game by shaping the next generation of Stark leaders, who are now drawing on their father’s wisdom as powerful, extremely capable players. All the other surviving players of Robert’s Rebellion, all the major powers were consumed with nothing but dealing and backstabbing one another so as to secure a future of power for their children. All while meanwhile their children were almost completely disconnected from them, embittered, spoiled, or otherwise generally kind of ruined. Ned’s absolute antipathy for their Game conveniently left him with a lot more time on his hands. Time he spent doing something else. Time he spent just being their dad. We all know Ned is the top Game of Thrones dad, which maybe isn’t too much of a mean feat when you look at dreadful dads Stannis and Tywin. Ned’s largest concern, more than anything else in the world, was just making sure all the children in his life knew what it meant to be a good person, knew what it meant to be a part of a real family. A noble house is filled with responsibility and entire regions will naturally reflect the aptitude and governance of their rulers. Prosperity, tenacity, or brotherhood will all spread across or forsake the lands in imitation of how its court issues. The other players all endlessly sought more lands and titles to add to the hoard their children would inherit, but half the time didn’t even think to ask if their children were ready for it. If they could rule it well. 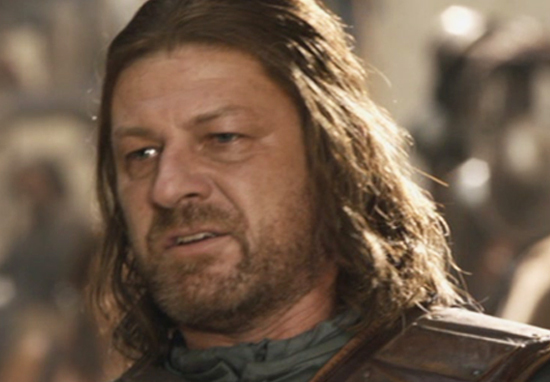 Ned Stark shaped the players of the next generation. It was the dedication, that persistent pursuit of principle to pass on to his progeny, the diligence to always be the best father he could, that gave the young Starks their power. I’m sure if he could Ned would be laughing last and longest.